The first Catholic settlers arrived in what is now Marshalltown in the early 1850’s. By 1869, the first of several churches was built, and Immaculate Conception Parish was being organized. Until around 1880, the resident pastor also had jurisdiction over the Catholics in nearby Haverhill. During the late 1870’s a two-room school was built and the property on which the present St. Mary Church and rectory are located was purchased. Approximately ten years later a high school opened in the basement of the newly constructed church. The present church building was dedicated to Mary on October 15, 1890, and the parish name was changed to match the name of the church. The parish continued to grow and by the 1920’s the church building was renovated and expanded. In 1959, a second parish, dedicated to St. Henry, was established. In 2007, Immaculate Conception Parish in Haverhill was merged into St. Henry Parish and its church building was designated as an Oratory. St. Mary School and St. Henry School combined to form the Marshalltown Area Catholic School in 1971. On June 20, 2013, its name was changed to St. Francis Catholic School. Two years later the school was consolidated at the St. Henry attendance center. Today the parishes of St. Mary and St. Henry cooperate in offering a number of spiritual and educational services to the people of the Marshalltown area. Combined, the parishes currently serve over 9,000 parishioners. Throughout the years, the Catholic faithful of St. Mary and St. Henry parishes have lived out their baptismal commitment with the assistance of their parishes. There they have heard the Word of God proclaimed, participated in the Eucharist, and received the Sacraments of the Church. Now, in an effort to strengthen the preaching of the Gospel and to ensure the vitality of parish life, and with concern for the stewardship of resources and the right of the People of God to receive assistance from the Church, it is necessary to make new provisions for the spiritual care of the parishioners of these parishes. To those ends, I have carefully read the comprehensive plans done by their Pastoral Planning Task Force. 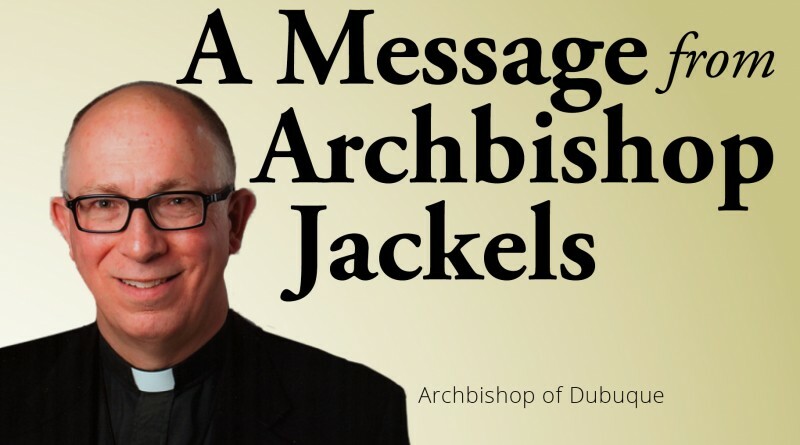 That plan included a number of proposals and recommendations from the then pastors, members of the pastoral councils of both parishes, other church members and the Director of Pastoral Planning for the Archdiocese of Dubuque. On 20 June 2018, in accord with canon 515, §2 of the Code of Canon Law, I sought the advice of the Council of Priests regarding the merger of the Marshalltown parishes. Having heard the advice of the Council of Priests and having continued to reflect on the situation I have decided, in accord with the prescriptions of the Code of Canon Law (canons 121, and 515, §§2 & 3), to hereby unite by merger the parishes of St. Henry and St. Mary to form one new territorial parish. This amalgamation shall take effect on 1 July 2019. This decision is based on the proximity of the St. Henry and St. Mary church buildings, the size of the parishes, the number of parishioners, and the duplication of services and programs in a relatively small geographic area. 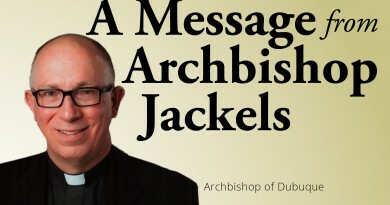 The new parish will have the ability to unite, consolidate and strengthen our Catholic presence and ministry to the people of Marshalltown and the surrounding area, and will allow for the best use of available priest personnel. The new parish shall include the membership of the two former parishes, and all Catholics having domicile within the current boundaries of the existing parishes will then be considered members of the new Marshalltown Catholic parish. As such, they will be subject to the spiritual jurisdiction of the pastor of that parish and will be obliged to contribute to the support of the same parish. The two church buildings will continue to be used as places of worship for the new parish. Their use will be at the discretion of the pastor with the advice of the Parish Pastoral Council. As the St. Henry structure is the larger of the two buildings it is hereby designated as the parish church. Parish offices will be located at the St. Mary office complex. Until the time of this merger requests regarding the use of Immaculate Conception Oratory, Haverhill, Iowa should continue to be made to the pastor of St. Henry Parish in Marshalltown, Iowa. After this merger requests should be made to the pastor of the new parish. Immaculate Conception Oratory, Haverhill, Iowa will, as of 1 July 2019, be under the care of the one charged with the administration of the new Marshalltown, Iowa parish. It will continue to be administered according to the Archdiocese of Dubuque Oratory Guidelines. The financial assets of the former Immaculate Conception Parish/Oratory are to be designated for the maintenance of the parish cemetery. Once those financial obligations have been satisfied, the determination of the distribution of additional resources will be made in consultation with the appropriate councils and in accord with Archdiocesan policy. At the time of this merger all parish registers, containing records of baptisms, confirmations, marriages and deaths, preserved at the former parishes, shall be transferred to the St. Mary office complex where they shall be faithfully preserved in accord with canon 535, §§1 – 5. The three church corporations will be merged into one. Upon this merger all juridical transactions will be assumed by the pastor of the new parish in accord with the law of the Church. Following the norm of canon 121, all assets, whether movable or immovable, and all liabilities of the parishes of St. Henry and St. Mary in Marshalltown, Iowa, and Immaculate Conception Oratory in Haverhill, Iowa, will become the assets and liabilities of the new parish. The proper pastor of the new parish will administer these common funds. The school and the cemetery will remain as separate, non-profit, corporate entities under the supervision of the pastor of the new parish. The name of the new parish shall be determined in the future. The exact boundaries of the new entity are contained in a separate document. 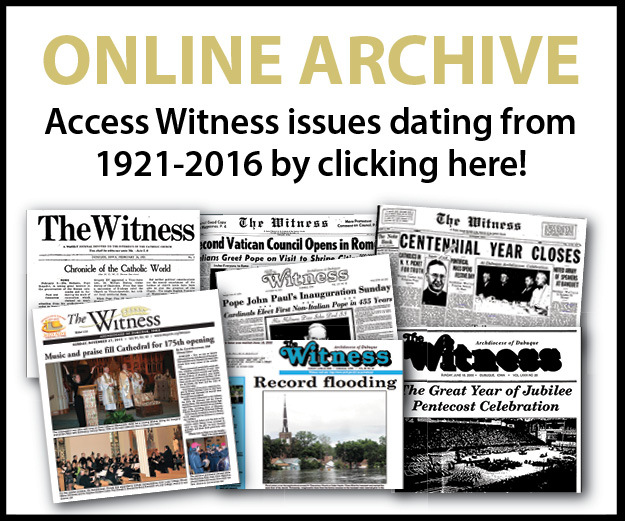 The publication of this Decree in the official Archdiocesan newspaper, The Witness, shall be the official notification of this action. Any proposed petition against this Decree is to be made in writing to my office in not more than ten useful days from the date of promulgation. This decree is effective on the 29th day of August 2018. Given at Dubuque, Iowa, on this 12th day of August 2018.